Nineteen children have died in the hospital in the last 24 hours — 13 neonatal (newborn) deaths, and six suffering from Acute Encephalitis Syndrome (AES), according to BRD Medical College principal P K Singh. About two months after deaths of children at BRD Medical College in Gorakhpur created a national uproar, leading to the arrest of the institution’s principal, a doctor and other staff, the number of deaths at the hospital continue to remain high. Nineteen children have died at the hospital in the last 24 hours — 13 neonatal (newborn) deaths, and six others suffering from Acute Encephalitis Syndrome (AES), according to BRD Medical College principal P K Singh. Sixty-nine deaths have been reported at the hospital in the four days since October 7. In the second week of August, 60 deaths were reported over five days. 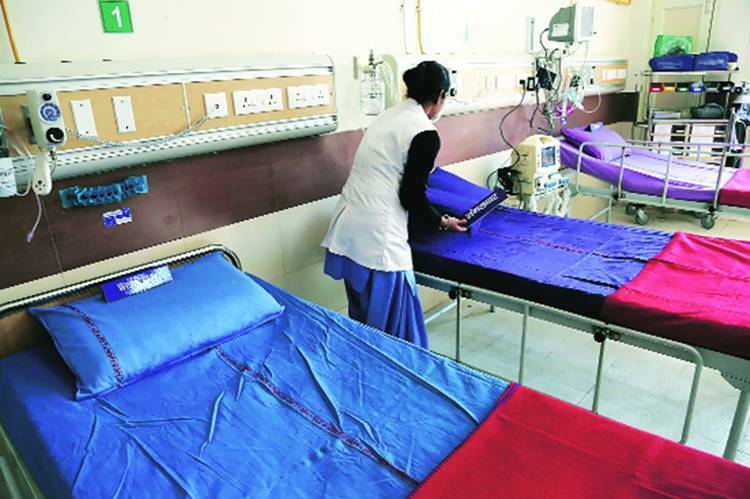 “Most of these deaths are in the Neonatal Intensive Care Unit (NICU) due to various reasons — such as pneumonia, septicemia, asphyxia, etc,” college principal Singh said. He said a large number of newborns in critical condition are coming to the hospital from far-off places. “There are 118 children admitted at NICU at present, of which 13 died due to different medical reasons,” Singh said. “There are 333 patients admitted in the pediatric ward.” Of these 333 patients, 109 children are suffering from AES, he said. The deaths in August had grabbed national attention after reports that the hospital faced shortage of oxygen supply at the time. Although the state government had denied that the deaths were due to oxygen shortage, action was taken against the then college principal, in-charge of the particular ward as well as clerks and the pharmacist for negligence. An FIR was lodged against them, as well as the supplier of liquid oxygen to the hospital, and all the accused have been arrested.